Last year Americans spent $400 million on 1.8 million tons of cat litter--enough to fill the Empire State Building two and a half times! 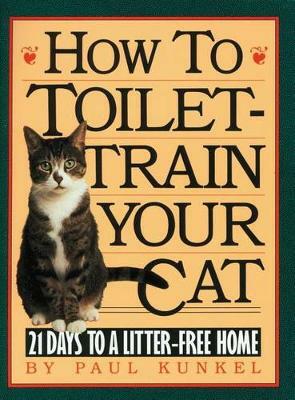 Now, Paul Kunkel presents a foolproof, 21-Day Program for teaching any litter-trained cat between the ages of six months and ten years to use a toilet instead of a litterbox. Illustrations.